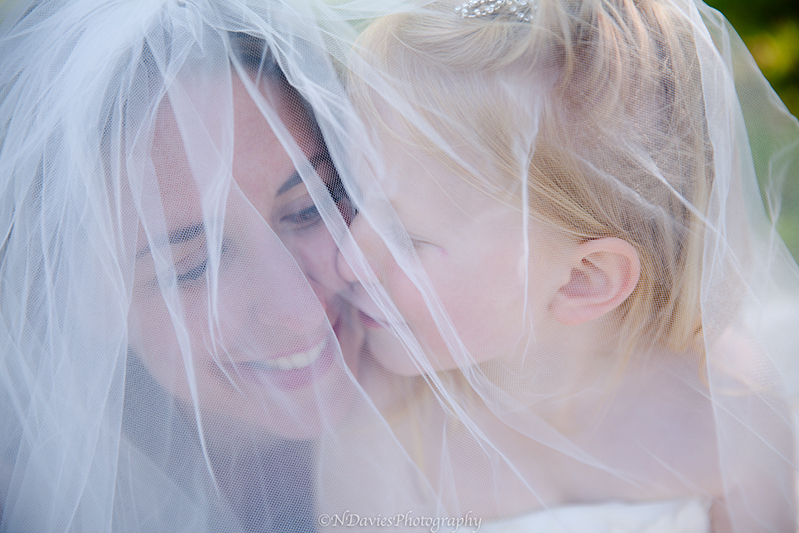 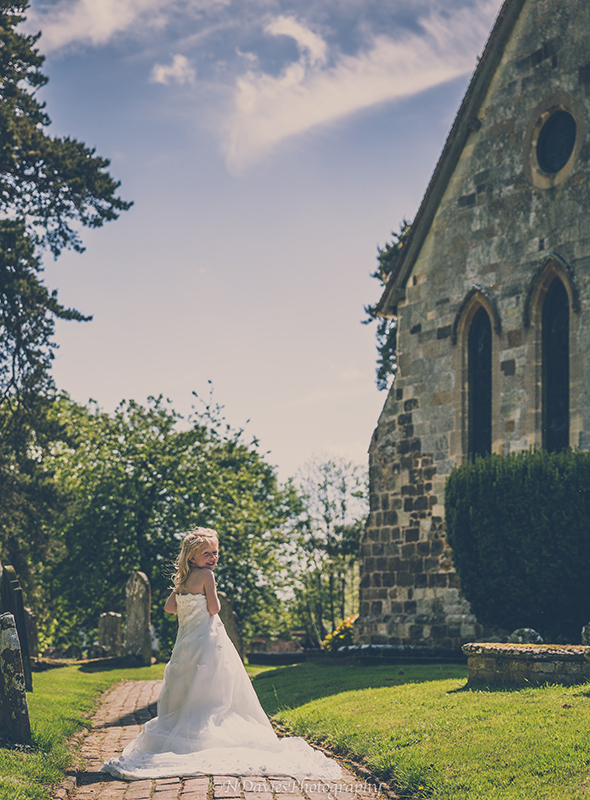 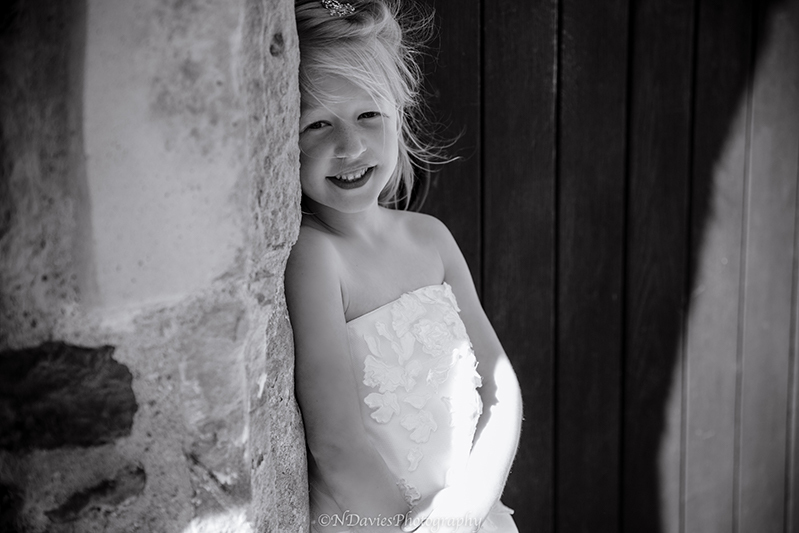 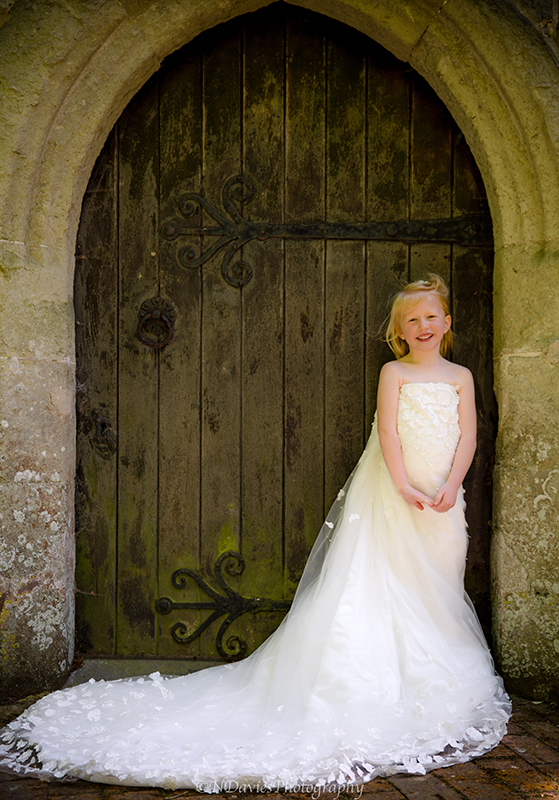 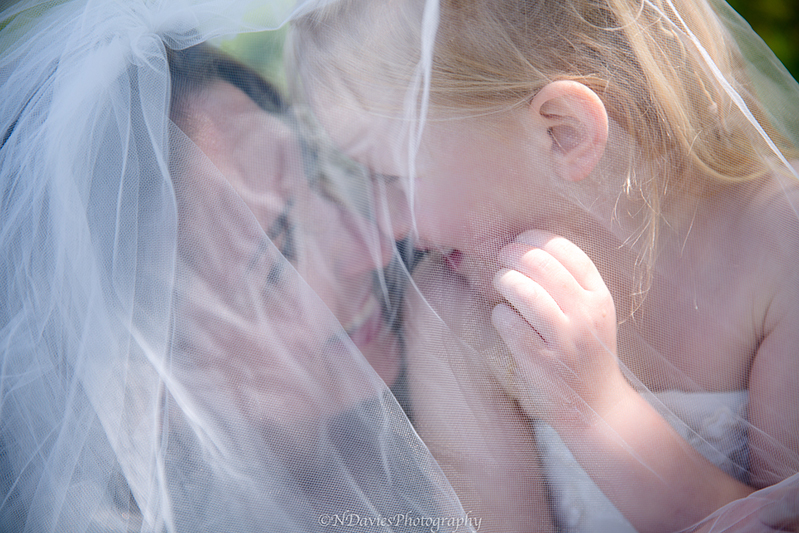 Natalie and Ben got married at Hellingly Church on 4 September 2009 and daughter Lottie came along the following year. 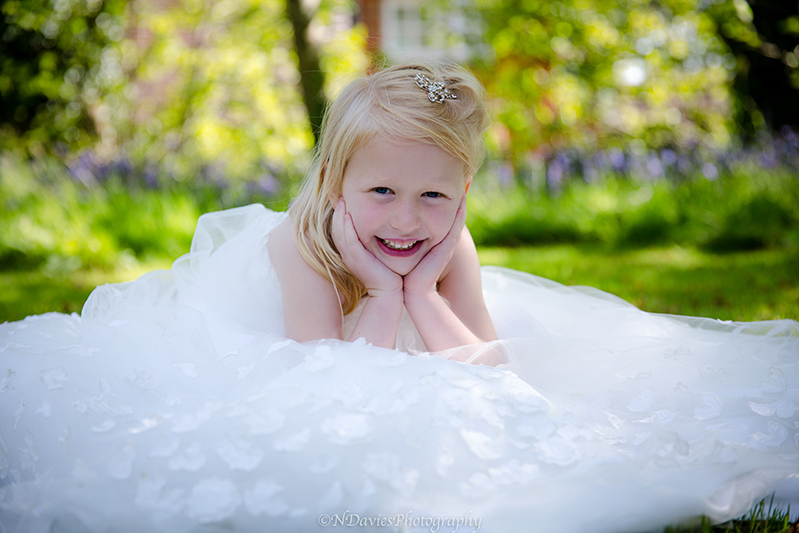 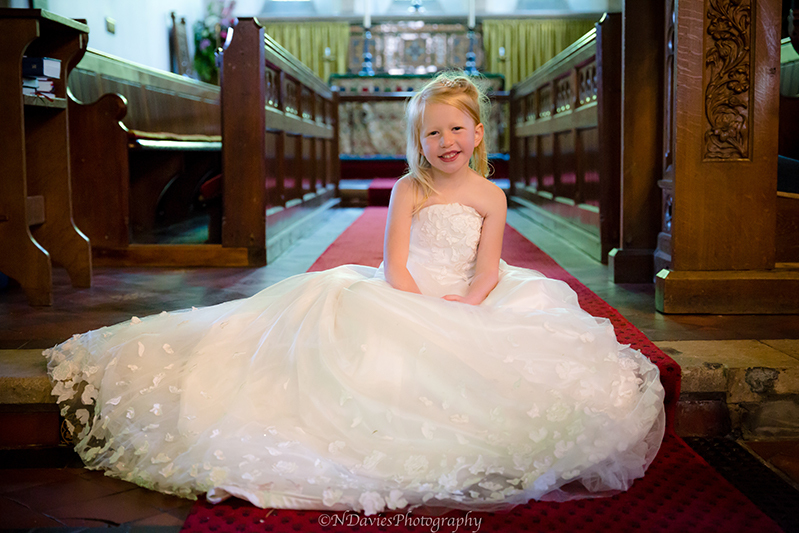 On 14 May 2017 my wife and I met with Lottie, now 6 years old, and her mum and dad for a special princess day at the same church and Lottie was so excited to be putting mummy’s wedding dress on! 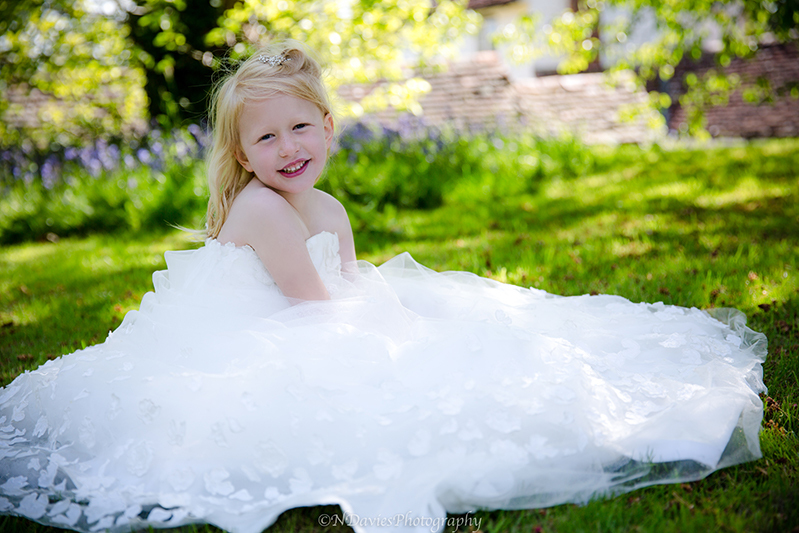 With a little bit of arrangement by my wife, and a lot of bull dog grips, Lottie was wearing this beautiful strapless layered gown and doing a tap dance to find her feet out of the bottom. 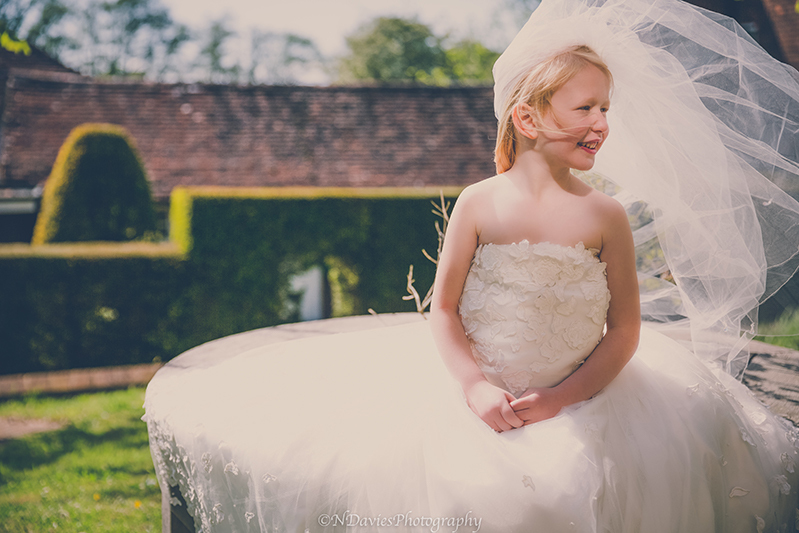 Mum brought along her hair slide, veil and shoes to complete the recreation. 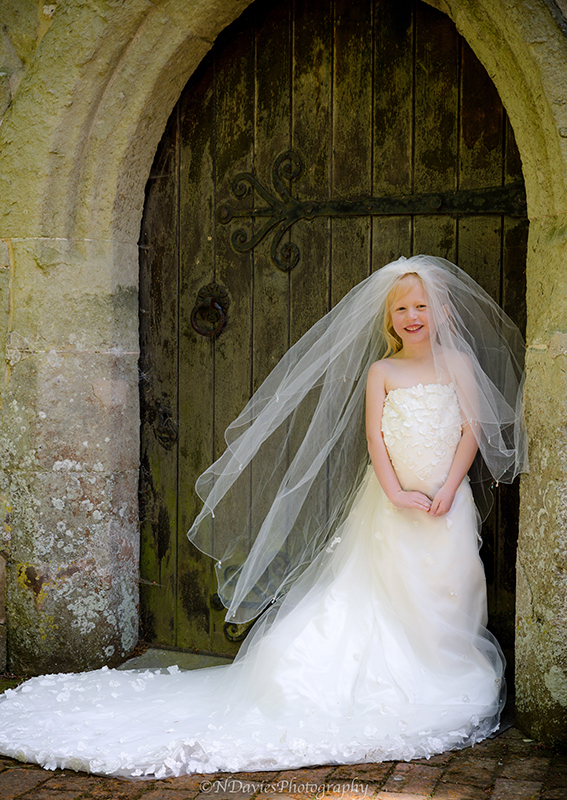 Lottie was a pro and the perfect model, relishing in every moment of this dress up experience. 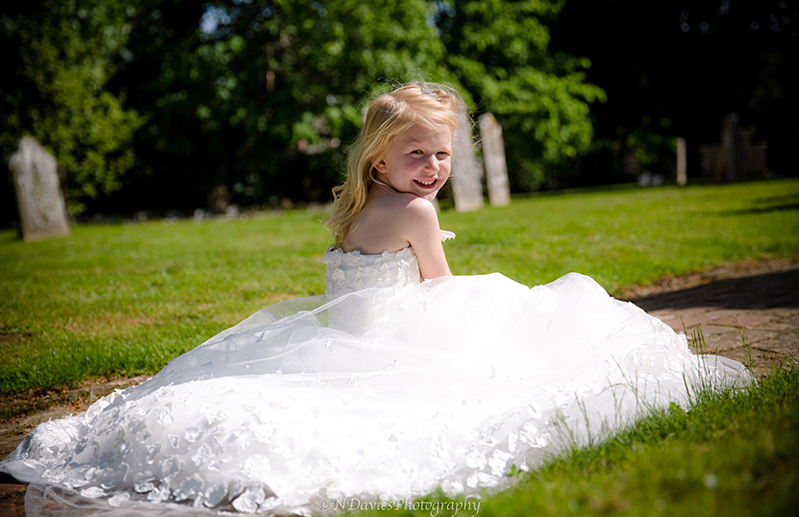 The weather was kind to us, if just a little windy, with the veil trying to take off through the beautiful churchyard and Lottie was fantastic, running through the grounds for each pose I asked her to take, even when she so desperately needed a wild wee! 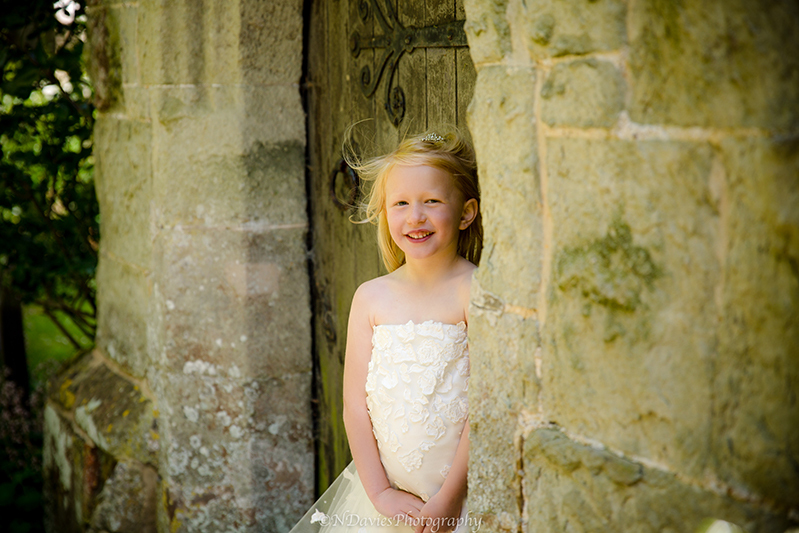 Finally we took a look inside for the all important alter images, in the exact place her mum and dad exchanged their vows eight years ago.